After a nice day spent at a Wolf Sanctuary, I stopped in at a random antique mart that litters the Lancaster County area. 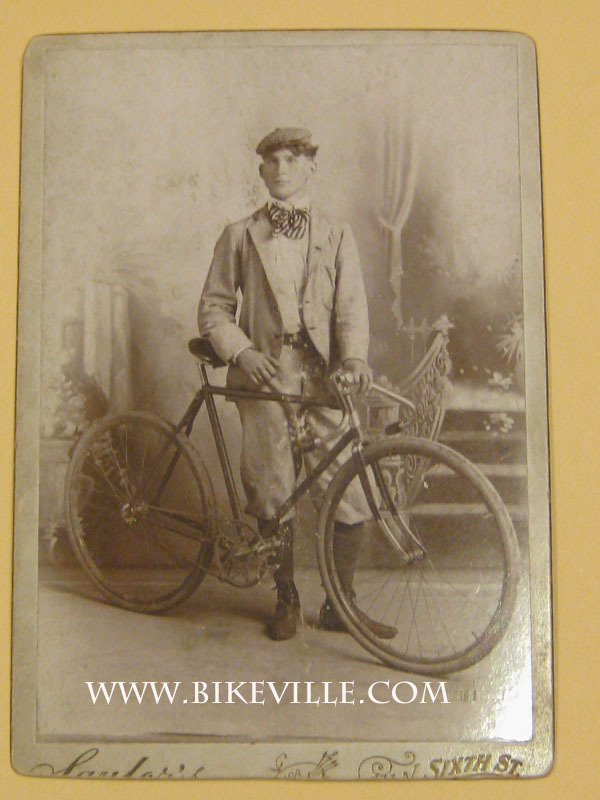 I usually avoid these types of places as they are usually full of overpriced knickknacks and ‘antiques.’ Browsing through, I ran across a friend, who was a vendor there, and he showed me some bicycle ephemera that he was selling. This card was found there. 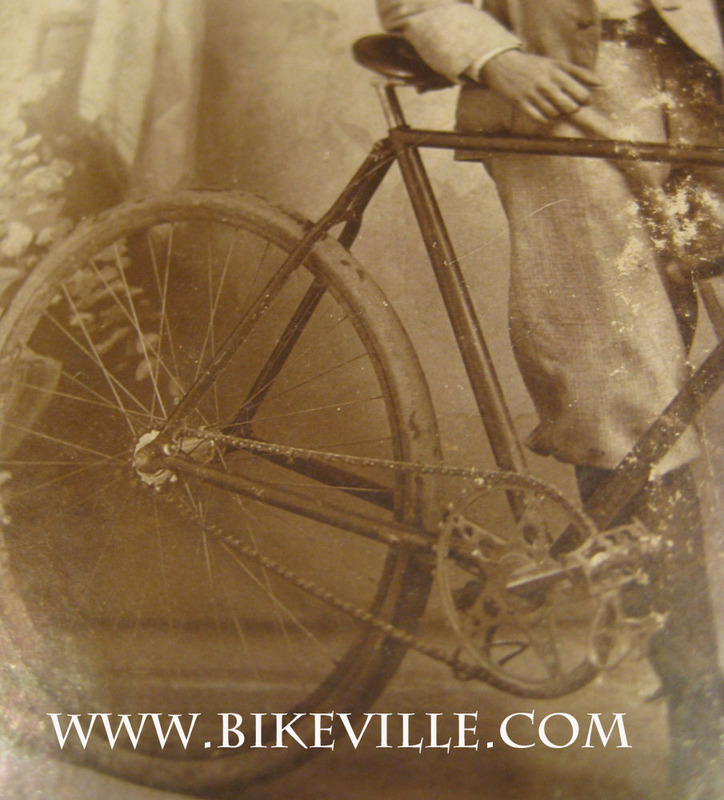 Nice early scorcher racing bike. The handlebars have a nice deep, unique bend, with a bell attached near the stem. 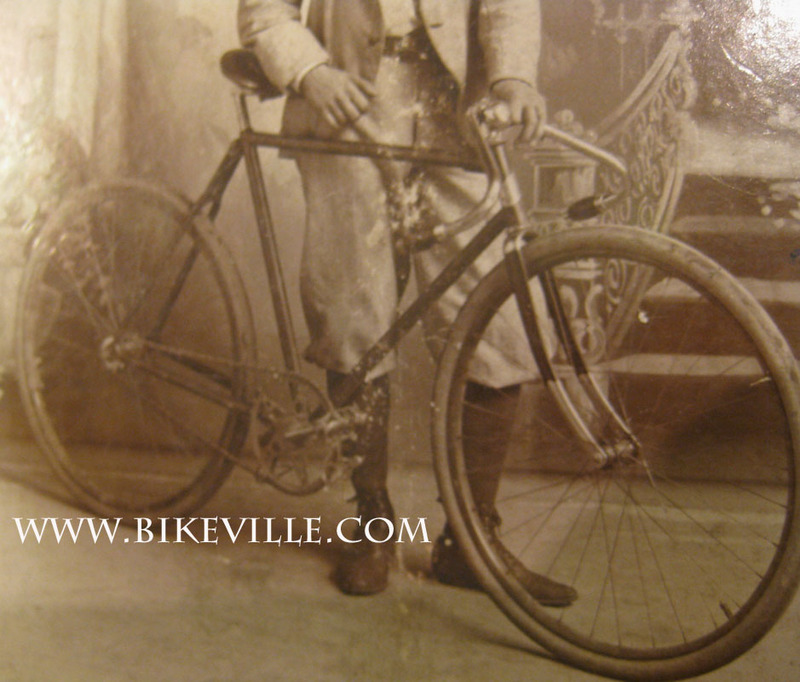 Appears to be a Fauber crank and has early toeclips, much like what a fellow collector was asking us about. It also has a plated rear cog, that really stands out. 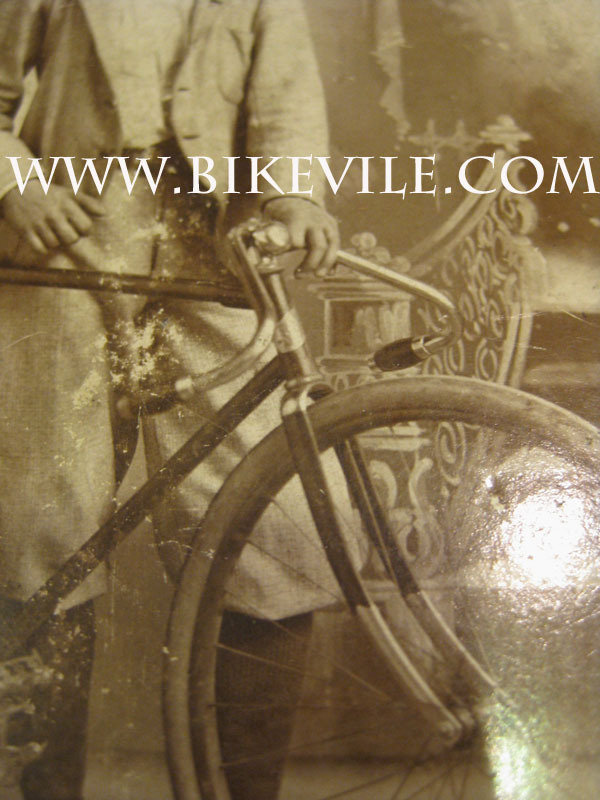 I assume someone familiar with this era bicycles, could make out the headbadge.